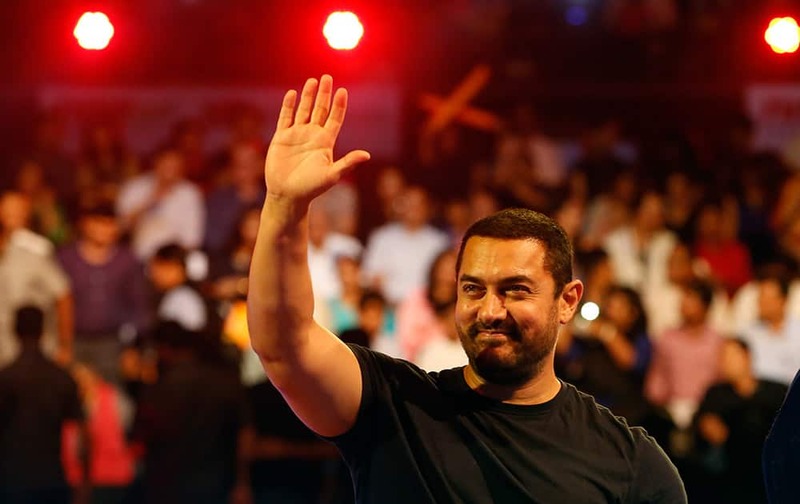 Aamir Khan waves to the crowd as he attends the inaugural session of Pro-Kabaddi League 2015. Abhishek Bachchan and his wife and actress Aishwarya Rai Bachchan watch the inaugural match of Pro-Kabaddi League 2015 between U Mumba and Jaipur Pink Panthers in Mumbai. Union Sports Minister Sarbananda Sonowal, Actor Amitabh Bachchan, daughter Shweta Bachchan, actress Jaya Bachchan, U Mumba owner, Ronnie Screwala, actor Rishi Kapoor and Amir Khan watch the Pro kabaddi League match between Jaipur Pink Panther and U Mumbai in Mumbai. 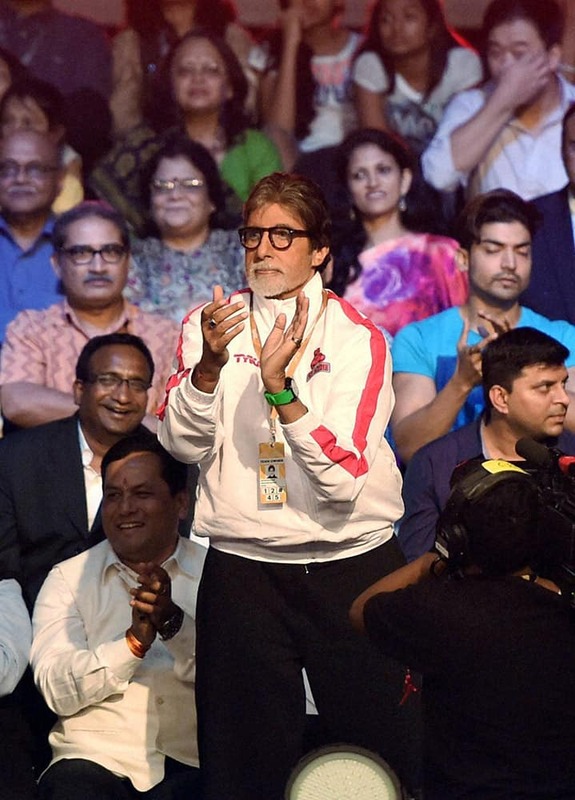 Amitabh Bachchan cheers during the opening ceremony of Pro kabaddi League match between, Jaipur Pink Panther and U Mumbai in Mumbai. Jaipur Pink Panther owner Abhishek Bachchan and wife Aishwarya Rai Bachchan during a Pro kabaddi League match between Jaipur Pink Panther and U Mumbai in Mumbai. 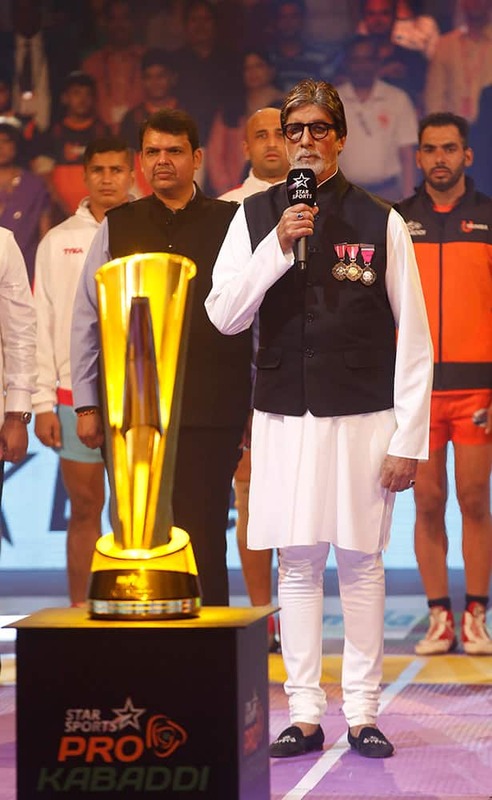 Amitabh Bachchan sings the national anthem on the inaugural session of Pro-Kabaddi League 2015 in Mumbai.